Our philosophy has always been to achieve the skills, have fun, and be safe, while encouraging the students to be the best they can be. We concentrate on the individual gymnast and emphasize their accomplishments and goals. Gymnastics classes are offered for ages 3 through high school. Mountain Gymnastics Center Team participates in the AAU and USA competitive programs levels 2-7. Mountain Gymnastics Center opened in March of 1986, after much planning, hard work, and many prayers. The first gymnastics facility was located on the town square in an upstairs room above the old Rogers Grocery store. This was the only location in town that had enough floor space and enough ceiling height. The main gym was 30 x 50 ft of carpeted area, and the very first classes were held without any equipment. By the next week, uneven bars, a beam, a homemade vaulting horse, a spring board for vault, and several mats were available to be used in the gym. Until January of 2005, Mountain Gymnastics Center remained in that same facility, acquiring new equipment and teaching more and more students. In the present facility, triple the square footage, nothing has changed in philosophy or our key concentrations, only the location differs. 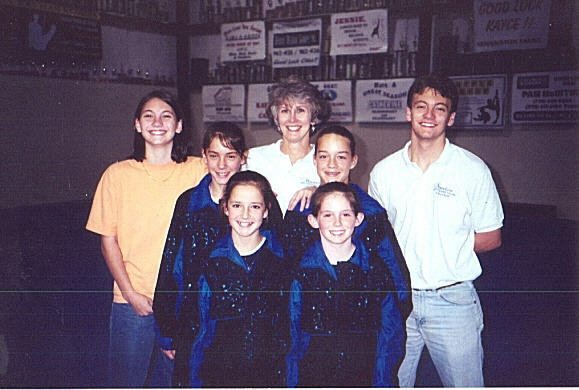 Shelley Thomas has owned and operated Mountain Gymnastics Center since its beginning, more than 28 years ago. We are currently working on an online registration program. The following links are part of what we are testing. Please do not try to create a new account now. We will notify you when it is up and running.